That’s the view of well-known farmer John Scott, who discusses the benefits of the crop with sheep specialists from SAC Consulting, part of Scotland’s Rural College (SRUC), in a new podcast. John, former Sheep Farmer of the Year and a star of BBC Two’s This Farming Life, grows fodder beet on Fearn Farm in Easter Ross for rationing ewes between scanning and lambing. 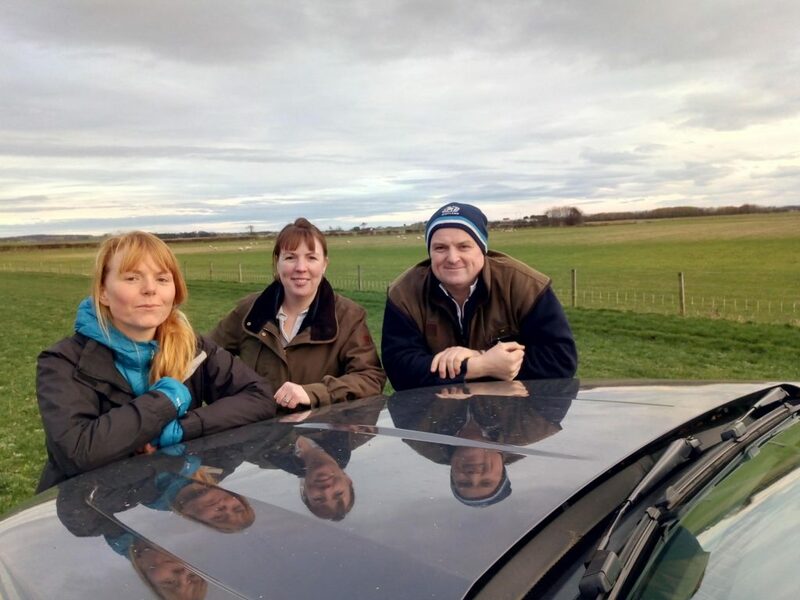 In the podcast, which has been produced for the Farm Advisory Service (FAS), he explains to SRUC sheep specialists Kirsten Williams and Poppy Frater how fodder beet fits into his system and offers farmers tips on transition, supplementation and managing the condition of the ewe. As ewes get closer to lambing, the energy and protein requirements increase rapidly, with 75 per cent of the foetal growth taking place in the final six weeks. At this time of high nutritional demand, the rumen size is also compromised by the growing lamb, meaning energy and protein-dense feeds are required. Kirsten said: “The popularity of fodder beet is growing across Scotland for those wintering ewes in a cost-effective manner while also meeting their nutritional needs. Growers should be aware, however, of the transition on and off the crop, daily allocation and supplementation as well as the environmental conditions. The podcast is now available to download from the FAS website. It forms part of a suite of podcasts which include advice on a wide range of topics, including woodland creation, alternative watering and organic manures.